Hello, My name is Anne Sabagh, and I am a Certified Life Coach who specializes in working with highly sensitive people and individuals with special needs, such as those on the autism spectrum. I am a highly sensitive person and on the autism spectrum myself, and I understand first-hand what it feels like when the world feels overwhelming. I seek to help my clients thrive despite this overwhelm. Growing up, I always knew there was something “different” about me. I tended to feel things very deeply, sometimes took much longer than others to get over seemingly trivial slights, was strongly moved by music of all genres, my favorite being rock and roll, and often wrote poetry from a very young age to help me process whatever I was feeling. I was easily overwhelmed by too much noise, large crowded spaces, things happening too quickly for me to process and much else. In 2000 , I went into a bookstore in Washington, D.C., and saw a book called The Highly Sensitive Person: How to Thrive When the World Overwhelms You. Without reading anything but the title, I knew that was me. I purchased it and have referenced it now for many years. It was written by Dr. Elaine Aron, a highly sensitive person who actually coined the term Highly Sensitive Person, or HSP. She has devoted many years of study to the subject matter and has helped bring this trait to light. I am so grateful for having found this book years ago to realize there was not only a term for the way I had felt all my life, but that it was a trait, and that there was nothing wrong with me. Life coaching works with all aspects relating to a person’s life. This includes, but is not limited to, their relationships, career, health and well-being. Some reasons people seek to work with a life coach are to help build self confidence, work on time management and work/life balance, assistance with one’s career, improving relationships, and interpersonal and communication skills just to name a few. Coaching is partnering with clients in a thought-provoking and creative process that inspires them to maximize their personal and professional potential and helps them to achieve their goals through the development and execution of action plans. Being an HSP and on the autism spectrum myself, and experiencing daily the difficulties that can come with living in this world with heightened sensitivity, I have learned ways to work with my sensitivity in order to cope with daily life and thrive despite the overwhelm I experience. I feel called to work with others to help them navigate the feelings that come up due to their heightened sensitivity, create their best lives, and recognize their sensitivity as a gift that they bring to the world. I have a direct and engaging approach to working with clients, and seek to help them stay positive, focused and uplifted. I help each client realize that the answers that provide the means for them to reach their goals are already inside of them. I ask my clients what they would like to achieve by the end of each 1-hour session and work with them to help create an action plan to achieve their goals, building in accountability and ways to navigate obstacles that may come up. When first beginning your work with a life coach, it is helpful to meet weekly for the first 4 sessions, so that you can begin getting traction towards your goals. At this stage you and your coach are digging in to your inner and external obstacles, and you’ll be learning new things about yourself every week. I ask that my clients commit to at least 4 sessions initially, so that they may see progress and can decide from there how they wish to proceed. Once you’ve gained self-awareness and movement through your initial 4 sessions, you may wish to meet with your coach every two weeks to keep up your motivation and so that you have plenty of time to practice your new skills and try out your strategies between sessions. Once you feel you are making good progress, you may wish to cut back to coaching sessions once a month to maintain your gains. This allows you to test your new skills, and determine which areas you feel confident in and which areas you may need more support. Once you have met your goals, you may choose to meet with your coach for quarterly “check in” sessions. This allows you to review what strategies are working well and what may need to be to be tweaked in order to keep you moving forward. 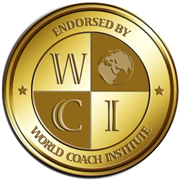 I obtained my life coaching certification through the World Coach Institute and abide by the International Coaching Federation (ICF) code of ethics. I look forward to working with you to help you create your best life, achieve your goals, and see your sensitivity or any special needs you have, despite their challenges, as a gift.